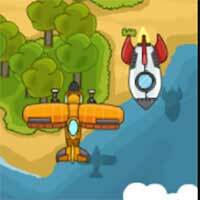 Sky War Sky War is airplane game where your pilot a war plane as you head to battle. Avoid incoming projectiles. Collect power ups. Enjoy it on Creetor.